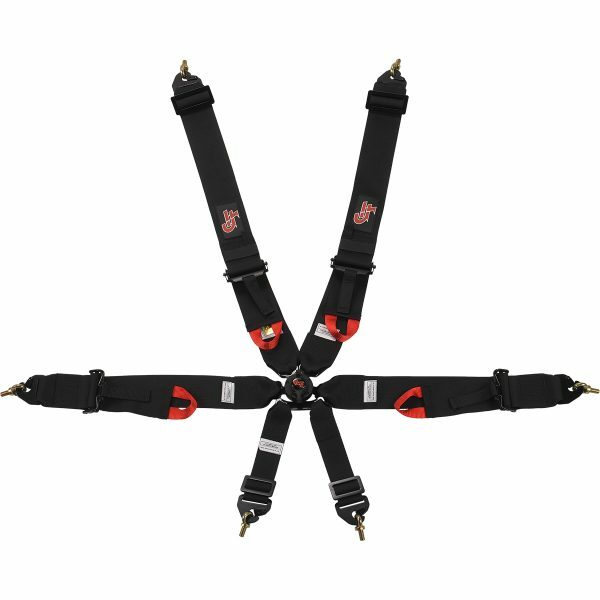 G-FORCE Racing Gear’s Pro Series 6-pt Camlock Harness is an FIA 8853-2016 rated premium harness belt system. This set is a dual-sub, 6 mounting point system with pull-up lap adjustment which is perfect for the Exocet. The shoulders are made with 3 inch standard webbing & attach to the lightweight E-Z aluminum adjusters. All adjusters feature Speed Pull Tabs for easy tension release. This set comes with Midnight Black, clip-in hardware. The lap belt mounts are sewn in as tested, the shoulder and sub points are laced in and can be removed for wrap around application. Lap adjusters are made with Anti-Slip Springs for added security.